I am trying to apply an image to a wavy mesh I created in Blender. I am not sure how to do this. I don't think I have any seams because its one panel so I tried just unwrapping which didn't work. Then I tried marking the edges as seams but this also failed to work. Where are the seams if any and how do I apply an image? 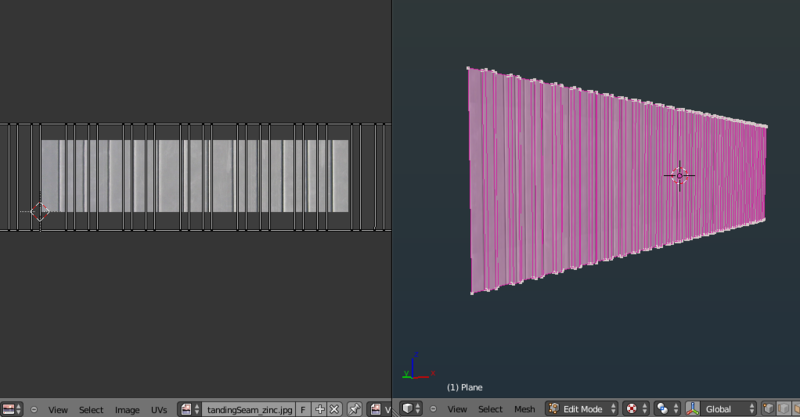 Blender has a difficult texture mapping system. Select a mesh object and go to Edit Mode. 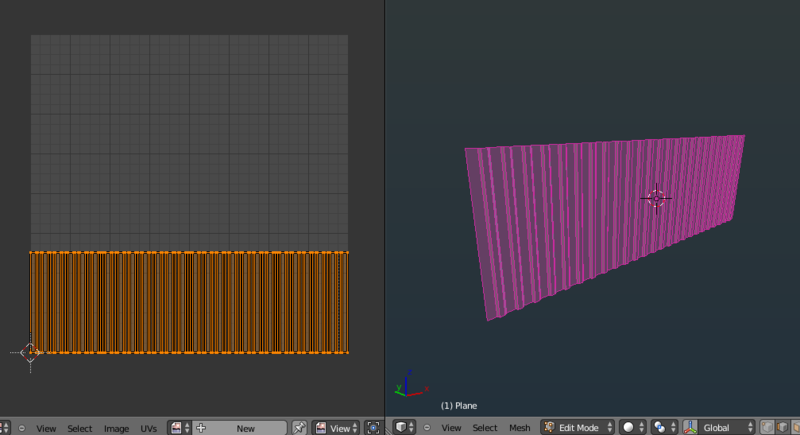 If the mesh has not been unwrapped, define your seams (Ctrl + E > Mark Seams) and unwrap it (U). Only the selected faces will be unwrapped, so make sure you have what you want unwrapped selected. 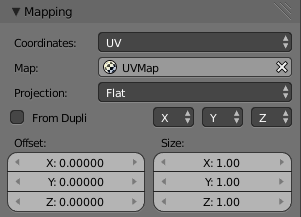 Also, only the Unwrap choice guarantees that faces will have the same more or less spacial layout in UV space as they have in the 3D mesh surface, seams included. Switch to a UV Image Editor while still in Edit Mode. If your mesh has been unwrapped and there are some faces selected in the 3D Viewport, these faces' uvs should appear in the UV Image Editor. 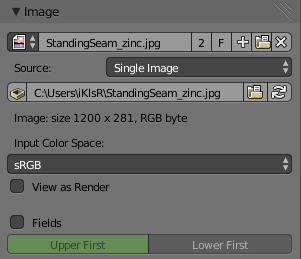 If this does not happen, make sure there is no render result displayed on the UV Image Editor. Now you can assign an image to your mesh by either opening a new one from the menu Image > Open, selecting an already opened image from the drop down menu or generating a new image from the menu Image > New. This image will be applied to the selected faces. However, it may not appear in the 3D Viewport yet. For that to happen you have to set your 3D Viewport to Textured View by hovering the mouse inside it and pressing Alt + Z. You can also change it the view manually in the footer. If you try to render your mesh, there will be no image on it. The image has simply been attached to the mesh's UV layer. To make the mesh render with this image, you need to explicitly create a material, add a texture and change the texture's type to Image, set the image, change the Mapping to UV and assign the texture to color. You definitely don't need seams for this mesh. Seams are to unwrap something that is not flat like a ball or character. Deselect all with A, then select only one wall of your model. C is a good tool for this. press the numpad 1 or 3 so that the viewport is looking directly at that wall. It's best not to be in perspective mode, change to Ortho by pressing 5. Because you only have one wall selected, in the Image Editor there will only be one wall . Use G to grab, R to rotate your unwrapped mesh in the Image Editor. 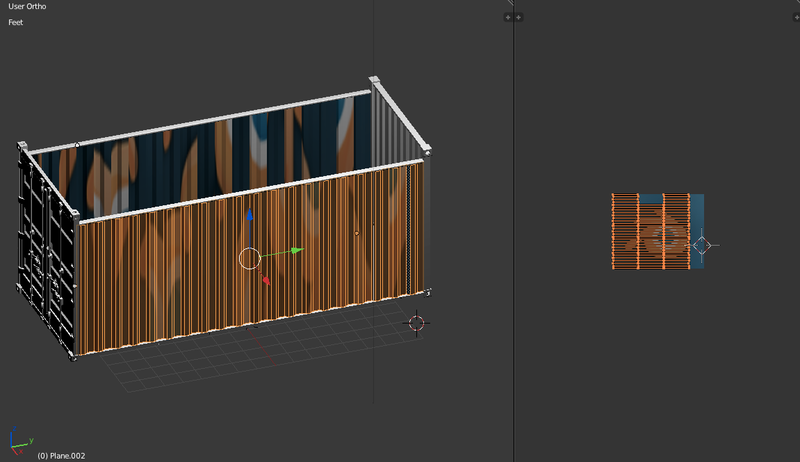 Preview in the 3D Viewport to line up your texture as you like. Repeat steps #3. through #6. for each wall. Note that its ok if your walls over lap in the Image Editor when all selected. Also, a good tip is, if Numpad 1 gives you the view of the front wall Ctrl + Numpad 1 will give you the back. If you haven't already, follow Psy-Fi's #7 step to add you texture to the mesh as a material texture. Now you can render. Un-wrapping your object and opening an image in the Image Editor has not textured your object even if the texture shows up in the Viewport. Only when you actually assign a material with the desire texture is it textured. The reason is, Blender's Image Editor is a really powerful tool that allows you to paint a image texture by drawing directly onto your mesh object in Texture Paint Mode. So, it allows you to view images on a mesh even when they are not its assigned texture. Not the answer you're looking for? Browse other questions tagged uv or ask your own question. How to properly unwrap my mesh? How can I solve this problem, while baking a high poly to a low poly one? How to place the right seams for the UV mapping of a curvy object like this? Why does Joining objects together stretch UV mapping for some individual faces? How can I create one uv map for multiple objects?